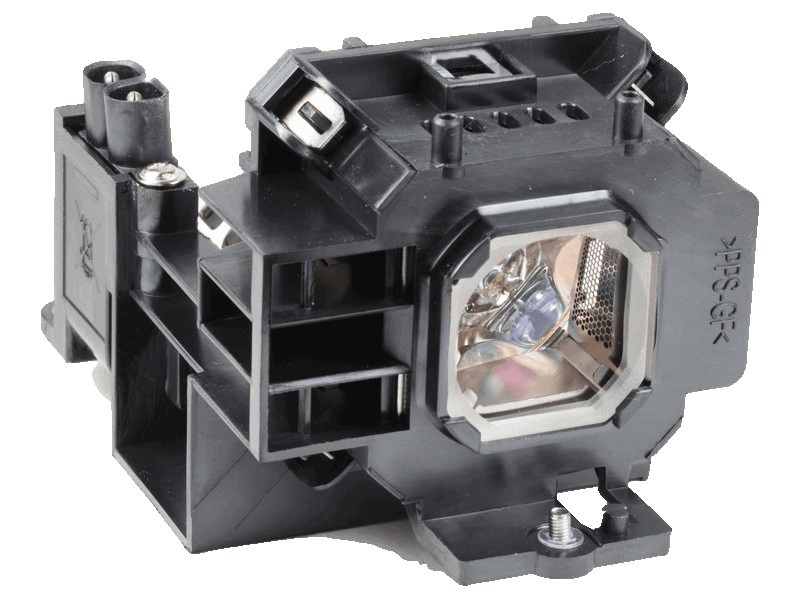 The NP610S NEC projector lamp replacement comes with a genuine original 230 watt Ushio bulb inside. This lamp is rated at 3,500 lumens (brightness equal to the original NEC projector lamp). The NP610S lamp has a rated life of 4,000 hours (5,000 hours in Eco mode). Our NEC replacement projector lamps are made with a high quality USHIO brand NSH bulb with main components made in Japan. Beware of cheaper lamps made with generic bulbs with lower quality and lower light output.Projector Lamp Replacement. NOTE: Elapsed time of the lamp use will not be affected even when [RESET] is done from the menu. HELP button on the remote control for 10 seconds to reset the lamp clock back to zero. Do this only after replacing the NP07LP lamp. NP610S NEC Projector Lamp Replacement. Projector Lamp Assembly with High Quality Genuine Original Ushio Bulb Inside.